If you weren’t able to make it to our last episode of SEO Live, we’ve got the slide deck here for your review! Jacob and Kavi review the SERP Simulator, a simple tool to test out your page title tags and meta descriptions, and then talk a bit about content creation and writing to fit a page’s purpose. During their Q&A session, Jacob and Kavi dispelled a few SEO myths our clients regularly ask about. 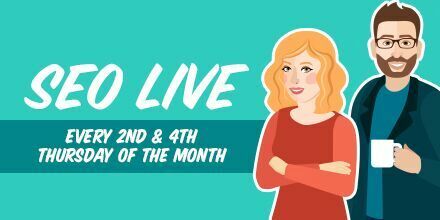 Be sure to <a href="//www.volusion.com/ecommerce-library/free-seo-advising-volusion-seo-live"> sign up for the next SEO Live episode</a>, happening Thursday, September 22, and ask us your SEO questions!